A police sergeant was the victim of the shooting, the police said and is recuperating in the hospital. 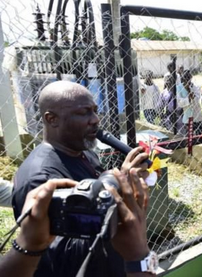 The Kogi Police Command asked Melaye to report at the SCIID office in the state capital, in the company of his armed guards, as the investigation began on the shooting. 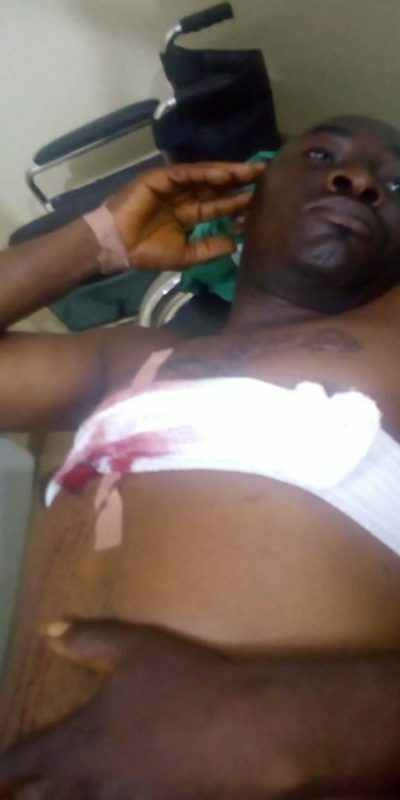 According to the police, their statement, signed by DSP William Ovye Aya, the PRO, was partly to refute Melaye’s allegation that he was shot at by the police. On the contrary, the police said that Melaye’s guards opened fire first, with the police responding. ”I thank God for spearing(sic) my life once again. Over 20 bullets holes on my jeep. Combination of police, SARS and military. God, I thank you. “Expectedly, the policeself-defencedefence responded by firing back to repel the unexpected attack. Vehicles in the convoy nevertheless, drove away from the scene. It was not until the officers of the Nigerian Security and Civil Defence Corps were questioned that it was realised that the convoy was that of Senator Dino Melaye. LIPSTICK CAN'T CHANGE PIG, NOT TO BE PIG. THUG WILL ALWAYS BE THUG. EVEN IF HE BECOMES PRESIDENT 2MORROW ' MAKES NO DIFFERENCE. it's only in this unfortunate Couuntry that we put fire on rooftop and then go in to sleep. Imagine a lunatic still being allowed to be our lawmaker. Maybe until such a time this Senathug in his vantage position pulls a surprise on Sai Baba,, then we shall realise something is happening. Nigeria Police can not be trusted! They lie more than the devil. Because of their lies especially in this regime, I hardly believe what ever they say!